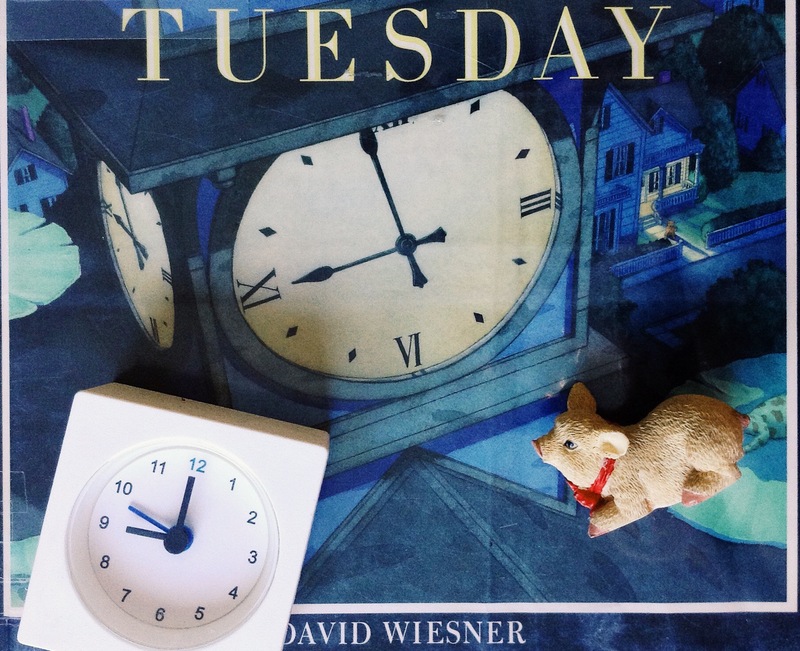 Short Synopsis of the Story: ‘Tuesday’ is the tale of a series of animal invasions that strike at a particular time and place, namely Tuesday evening at around eight o’clock in a small suburb. Frogs invade the skies in hundreds of thousands, flying along on lilypad aircraft. They invade backyards or dark sitting rooms where people are dozing off in front of the television. Neither the press nor the police know what to make of it the morning after, when the town is strewn with abandoned lilypads. It is a great inexplicable mystery. Conclusion: This is a book that both children and adults can enjoy. The pictures tell the story of their own accord. There is little need for words to accompany the excellent pictures. ‘Tuesday’ has a mysterious, eery air to it. It will make you use your imagination and lends new meaning to the idiom- ‘pigs might fly’.